Due to popular demand we have created an extremely affordable small business website starter pack for businesses who want to get online fast, or update their existing website to something more modern. Our Small business websites are a fantastic option to get online fast or update your old website to something more modern. We customise themes with the latest technology which you can edit and update easily and quickly. Our small business web solution gets you online fast and are also scalable allowing your website to grow with your business with minimal costs and headaches. I just wanted to say Many Thanks for my First Business Website. You made the process so easy for me by explaining every step of an exciting Journey. I loved the Basecamp where I could keep track of your progress and make my comments. You were very patient and walked me through the editing and setup process. I did not understand any of it at first but have learned much more than I thought I ever could at my age. I shall have no hesitation in recommending you to my friends and colleagues. Diana Bredt - Antrim Day Care. Very patient and professional. Bell Media produced a great website for our business. It was clear, modern, simple and easy for a potential customer to follow. I appreciated their advice, support and quick turnaround. I would have no hesitation in recommending Bell Media to any business requiring a professional website. Rajaa - Adams Carpet Cleaning. We would like to that the guys at Bell Media for our fantastic new web site design. Bell Media made things simple for us, and they just got the job done without any headaches. Our new website looks great and even works on our mobile phones out of the box. Fantastic service, we cannot thank you enough. Bell Media designed our website this year and their service was fantastic, speedy and professional. They included features on our website that we didn't know existed, it really went beyond our expectations. Our Bell Media website looks awesome, we get complimented all the time! 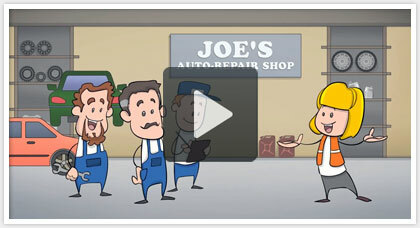 Add one of our AMAZING Animated explainer videos when you purchase a website! More video examples visit Animated Explainer page. Bell Media's new range of website design for small business is an extremely affordable way for new businesses to get their brand online fast and have all the options that you would like without spending a small fortune. Please click on the website thumbnails below to see some of our recent Small Business Websites.